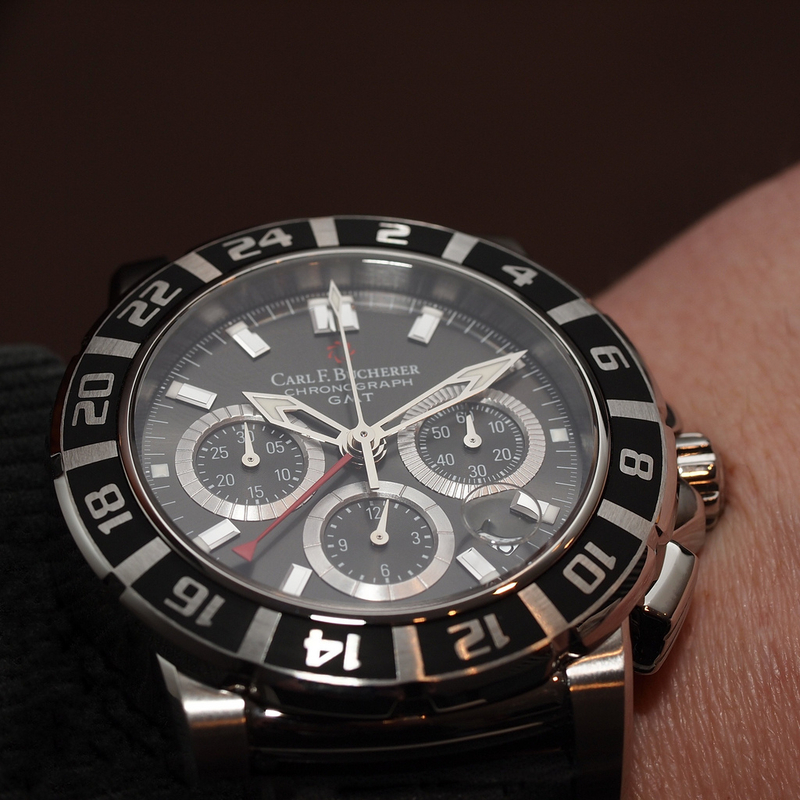 Introduced at Baselworld 2011, the Carl F. Bucherer Patravi TravelGraph combines two popular functions, a chronograph and GMT. The movement is an ETA, however, CFB has invested over a million dollars in the development of in-house GMT and chronograph modules which have been added to the base movement. The resulting caliber is called the CFB 1901. 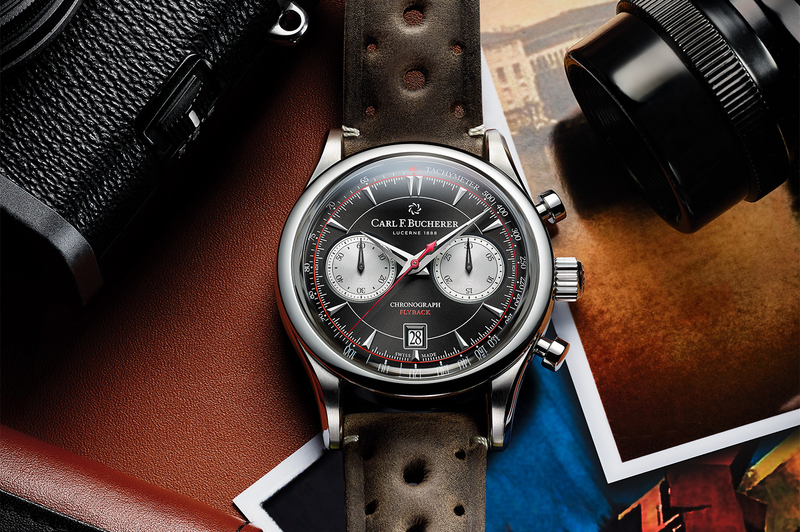 The caliber 1901 has a second time zone function (GMT) that is displayed by the red hand and a bi-directional 24-hour bezel (similar to a number of GMT watches, the TravelGraph displays a third time zone). The local time is displayed by the central hour hand, and can be set without affecting the timekeeping because the movement continues to run even while the setting mechanism is used (the date also moves in relation to hour hand). 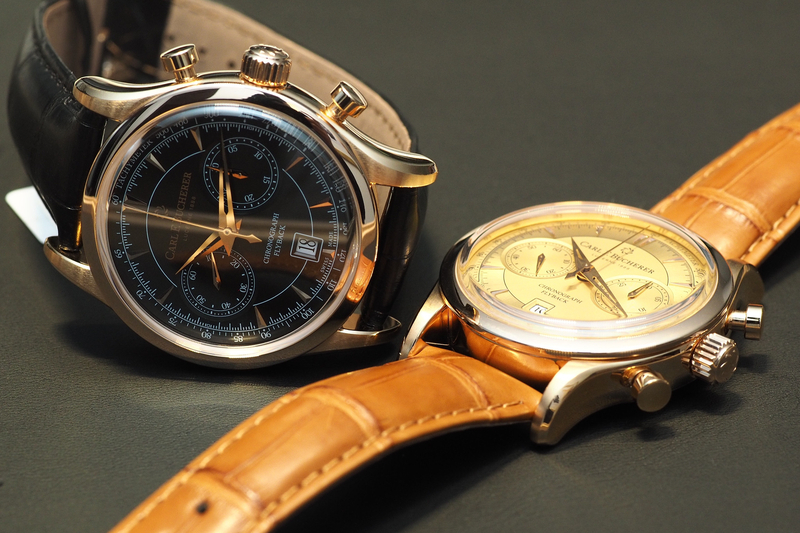 The 1901 not only features a GMT function, it also has a chronograph. This means you can simultaneously track up to three different time zones as a well as the elapsed time of a specific event. A clear caseback allows a view into the highly modified ETA-2892 (CFB 1901) movement. 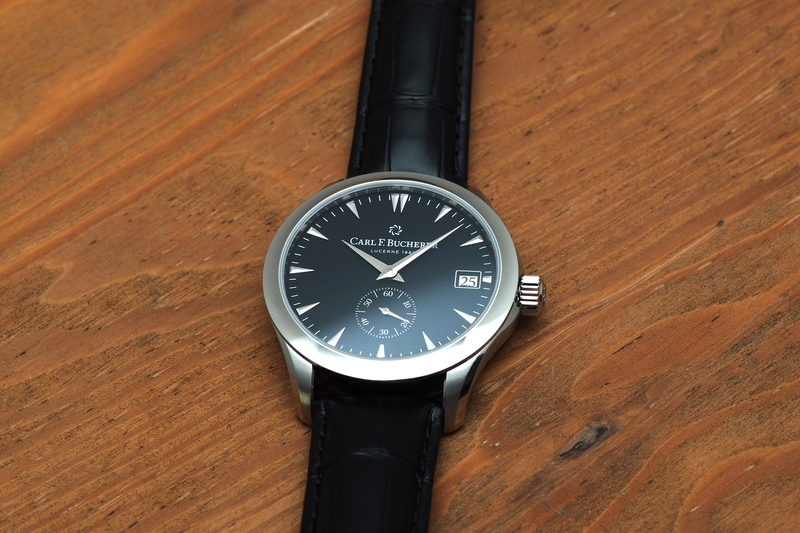 The case is available in stainless steel and is 42 mm in diameter. The Patravi TravelGraph comes in a strap or steel bracelet. Power-reserve is 42 hours. Water-resistance is 50 meters (164 ft).